A white out sweeps through Andermatt, Switzerland and the only thing one can see is the bright red park bench. During the winter months, this red park bench in Andermatt, Switzerland is not the ideal place to be meeting a friend, relative or loved one. This is not even a great place to relax and read a newspaper or book, at least until spring begins to show its colors. 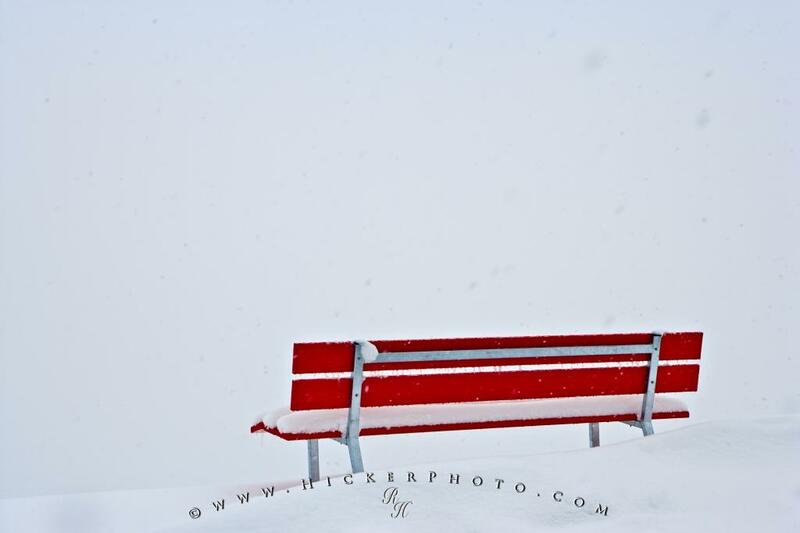 When winter conditions hit the town of Andermatt, Switzerland, and a white out strikes, a brightly painted red park bench is about the only fixture one can see. The snow around Switzerland can reach great depths at times and not even a park bench can be found. White out conditions in Switzerland are not an uncommon sight during the winter months. When all settles and the snow blizzards stop, tourists and locals who love skiing, tobogganing or snowshoeing head to the mountains for a real taste of winter bliss. Photo of the last item that can be seen in a white out in the town of Andermatt, Switzerland in Europe. ... Some of the best skiing is found in Switzerland, but one should always be a little leery when white out conditions pass through. Red Park Bench with a view of a snow white out in Andermatt, Switzerland, Europe. I photographed this photo with the digital SLR camera model Canon EOS-1Ds Mark II, aperture of f/7.1, exposure time of 1/320 sec. on ISO 100, as always I used a original Canon Lens, the focus lenght for this picture was 70mm.